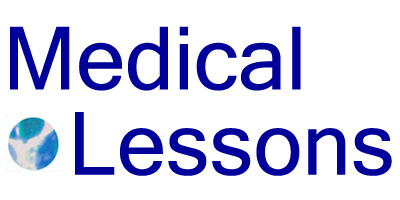 Medical Lessons – Why Blog on OncotypeDx and BC Pathology? A few days ago I wrote on a relatively new pathology tool called OncotypeDx. This device measures expression of 21 genes in tumor cells to establish the likelihood a cancer will recur. For women with early-stage, ER+ tumors that haven’t yet spread to the lymph nodes, the OncotypeDx results stratify patients into three groups – those having a low, intermediate or high risk for recurrence at 10 years. As things stand, chemotherapy is routinely prescribed for most women with early-stage BC after initial treatment by mastectomy or lumpectomy and radiation. But the overall relapse rate is fairly low (around 15% at 5 years, higher over time depending on other factors) for women who take an anti-estrogen pill like tamoxifen. Chemo reduces the recurrence rate by approximately one third. The problem is that women and their doctors don’t know in advance who’s likely to benefit. What happens now is that most women choose to undergo treatment even though it’s unlikely their cancer will come back. This – the problem of overtreatment – was one of the main concerns to emerge from the mammography screening debate. The original OncotypeDx data, which have been considered here and elsewhere, support that most women with low recurrence scores are unlikely to benefit from chemo. So if women and their doctors could access the kind of information provided by OncotypeDx, at a cost of ~$3800 each, tens of thousands of women with BC and low risk scores might opt out of chemo treatments each year. For example, if a woman’s recurrence score is less than 18, the likelihood of a relapse within 10 years is only 7%. Such a patient might happily and rationally choose not to take adjuvant chemotherapy. I can’t even begin to think of how much money this might save, besides sparing so many women from the messy business of infusions, temporary or semi-permanent IV catheters, prophylactic or sometimes urgent antibiotics, Neulasta injections, anti-nausea drugs, cardiac tests and then some occasional deaths in treatment from infection, bleeding or, later on, from late effects on the heart or not-so-rare secondary malignancies like leukemia. And hairpieces; we could see a dramatic decline in women with scarves and wigs. One issue, perhaps, is that it’s challenging for some doctors to learn about this test sufficiently that they’re comfortable with it. Quantitative RT-PCR, the method by which RNA is measured in the assay, wasn’t invented until around 1990, long after many practicing oncologists completed school. And as for the particular 21 genes measured – they’re unfamiliar to most physicians I know. Now, you might say that it doesn’t matter – if the device works, the doctor doesn’t have to understand the underlying technology. But a black box-like approach to clinical cancer decisions is far from ideal. From the physician’s perspective, it may be easier, and perhaps legally safer, simply to prescribe the chemo – which she knows well and uses all the time – than to engage in a decision-making process using new methods and terms she doesn’t fully command. Besides, there’s a conflict of interest: many oncologists, hospitals and infusion centers make money by giving infusions of chemotherapy. Identifying a large subset of patients who wouldn’t benefit from chemo may not be a priority for some clinicians. In a recent JCO paper, half of the oncologists’ initial recommendations for a combination of chemotherapy and hormonal treatments changed to hormonal treatment (without chemo) upon seeing the patients’ OncotypeDx scores. An ongoing large, NIH-sponsored TailorRx trial involving 10,000 patients aims to clarify the potential benefit of this test. I’m concerned that by the time those results are available, with relapse rates and survival curves at 5 and 10-years, the technology in science and availability of new treatments may persuade doctors, then, to question the trial’s relevance. Meanwhile, hundreds of thousands of women will be treated off protocol, many without this sort of information, in a sort of blinded guessing game about the chances of recurrence and whether or not they should take chemo. For now I hope that all women with newly-diagnosed BC, and their physicians, know about OncotypeDx and other tools, and their potential to inform decisions regarding chemotherapy. The thought that a person might safely avoid having to undergo chemotherapy (I don’t even like consider reality that people are unnecessarily subjected to this procedure) is important news. I am going to save this information for future reference. Thank you again for publicizing this important development to the general public. This test is another very helpful tool in the decision making process regarding chemotherapy. A doctor being uncomfortable or not familiar enough with it isn’t acceptable in my opinion. Thanks for writing about this important topic.